Changelly is a popular digital currency exchange platform that allows users to execute crypto-to-crypto trades instantly using Bitcoin, Litecoin, Ethereum and over 75 other altcoins. They also provide services for buying Bitcoin with USD via credit card. The Changelly platform is probably most comparable to ShapeShift, since their main function is to let users exchange one cryptocurrency for another. Changelly charges low fees for crypto-to-crypto exchanges and also has reasonable exchange rates. The platform automatically matches your trade with the best exchange rate available on the market by using a specialized “robot.” When buying and selling one cryptocurrency for another, they charge a flat fee of 0.5% per trade. For purchases made with credit/debit cards, however, their fees tend to be very high and have a low maximum. Changelly enables users around the world to exchange over 86 different cryptocurrencies. You can exchange any of their supported cryptocurrencies for one another, and the conversion rate is calculated in real-time. They support a wide range of digital currencies, including the most popular “high market cap” coins all the way to lesser known altcoins. All of the cryptocurrencies currently supported on the Changelly platform can be found here. What is Changelly and How Does it Work? Changelly is a platform built for instantly exchanging cryptocurrencies. They use a “robot” to scan all of the top major exchanges within milliseconds of initiating a trade. It scans popular exchange sites like Poloniex and Bittrex, among others, and places bids/asks on these exchanges to find the lowest rate available for your specific trade. This is different from other large exchanges, such as Bittrex, which store their users’ crypto on a centralized wallet that is under the company’s control. Before you can make an exchange at Changelly you need to first create an account. This is a simple process which only requires your email address. Once you have signed up, you’ll receive an email confirmation that includes a secure, randomly generated password. You will then be able to signin at any time with your credentials and place trades. 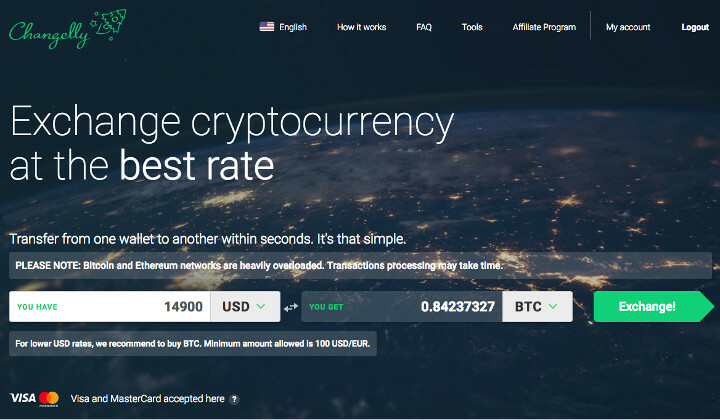 For their cryptocurrency exchange service, Changelly charges a flat fee of 0.5% per trade. Keep in mind that transaction fees will also be incurred on the blockchain for a crypto-to-crypto exchange. This is because Changelly does not have its own wallet service, so the cryptocurrency will be going in and out of your own personal wallet. 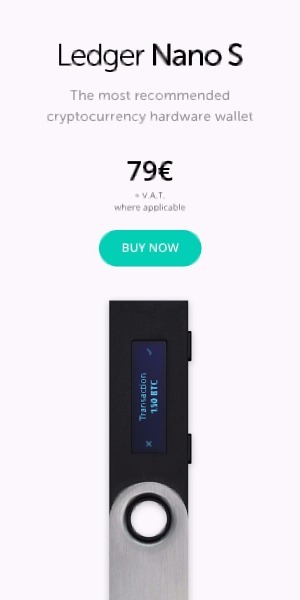 Depending on the cryptocurrencies you are exchanging, you can use a hardware wallet or online wallet service to store your coins. You can find a full list of digital wallets on our website here. Changelly has all of the same security features as a lot of other major cryptocurrency exchanges. They ensure that each account has a secure password by randomly generating one upon signup and you can also configure 2FA on your account in the settings tab. Unlike most other exchanges, Changelly does not offer any storage or wallet solutions. This means you always have full control over the safekeeping of your digital currency. It also makes your account much less open to hacking, since you maintain full control over your wallet and its private key. One of the lesser-known services offered at Changelly is their USD to Bitcoin exchange. For this, Changelly accepts Visa and Mastercard via Simplex to allow users to purchase Bitcoin nearly instantly. Simplex is a third party company that provides cryptocurrency exchanges, brokerages and wallet services with a secure, fraud prevention platform. 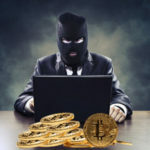 By using Simplex, companies like Changelly are able to reduce the risk of fraud when they accept credit and debit cards from customers to purchase BTC. When buying Bitcoin at Changelly, we found their exchange rates to be about 5% higher than the current rate listed on CoinMarketCap.com which is pretty high by exchange standards. On top of that, Changelly charges an additional 5% fee and Simplex also charges 5%. For this reason, if you are interested in buying Bitcoin with fiat, your best bet is to do so using a different service, such as Coinbase. The Changelly platform was definitely built with the user in mind; the interface is simple to navigate and the service is easy to use. All you need to do is select the currency and amount you want to exchange on the homepage, then select the cryptocurrency you want to receive. The system will then automatically calculate the amount you’ll receive from the trade. Once you click the “exchange” button, it will save this info and take you to the next page where you need to confirm the details of the trade, including the amount being exchanged and your wallet address where the funds are being sent to. Historically, there has always been a lack of information about who owns and operates Changelly. On their website they state that the Changelly service is presented by MinerGate. Based on our research, it appears that Changelly was simply created by a group of people who also worked on MinerGate at one point in time. These two businesses are run as two separate entities. Recently a man named Alex Grebnev announced publicly that he is the current COO and co-founder of Changelly. The announcement was made right around the same time that he announced he was starting up a new cryptocurrency service, Oxygen. Not that it is necessarily a bad thing, but this appeared to be some kind of marketing/PR stunt to promote his new business. While Changelly has a very low rate for their crypto-to-crypto exchange service (0.5%), they are not the best place to buy Bitcoin with USD and other fiat currencies. When you purchase BTC with a credit card at Changelly, you’ll be paying a much higher premium than most other exchanges offer. If you are looking for somewhere to exchange your existing cryptocurrency for a new coin or token, however, they are worth taking into consideration. It is worth mentioning that there have been a large number of negative reviews and complaints about Changelly recently, particularly regarding exchange times. On TrustPilot for example, they only have a 2 star rating (out of 5 stars) with 523 reviews. You can find other similar complaints on forums and blogs by doing a simple Google search.